For the past nine months the J.M. Kaplan Fund gathered and reviewed over 1,100 applications submitted by early-stage social entrepreneurs from across the U.S. applying for the newly launched J.M.K. Innovation Prize, which will award grants of $175,000 each for three years of financial support to ten brilliant projects. 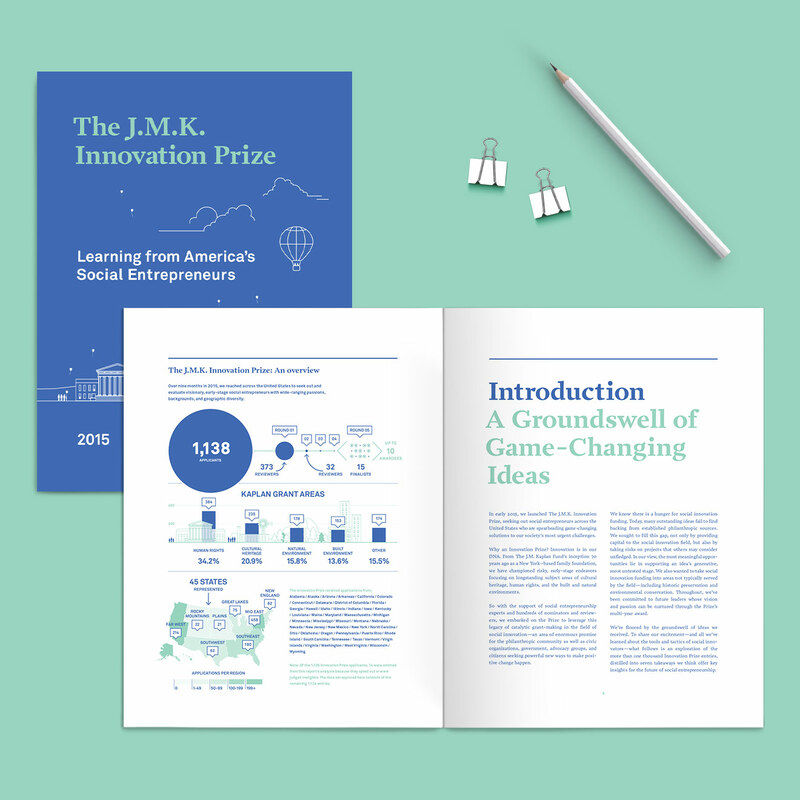 Our team had the honor to work with the prize’s directors, writers and data analysts to develop a visual report to showcase all of the insights gained and lessons learned during this unique process, offering an in-depth look at the landscape of social innovation today. A downloadable version of the PDF is available on the J.M. Kaplan Fund website here.